The war against plastic is undoubtedly underway, spurred by new scientific discoveries which have shown that both the earth and humans are now being polluted by plastic waste; and will continue to be for no less than a thousand years. For example, it has been shown that plastics take about 1,000 years to degrade. But new evidence shows that plastics don’t actually break down, they break up into microplastics which show up everywhere! From salt, to seafood, to water to humans. So plastics stay on forever. But water in plastic bottles (usually PET bottles) has been a major source of this plastic waste. PET plastic water bottles have been ubiquitous and an essential item in households. In the US alone (where tap water in most states are declared safe), they are still used every second. Plastic bottles have also been used in countries with lower water quality, and have certainly contributed to lower water-borne diseases, especially amongst the middle class. But this has further led to increased plastic wastes as bottling companies usually have no bottle take-back programmes. But the negative environmental impacts of plastic waste are being understood – overflowing landfills, blocked drainages, littered sidewalks, ocean pollution (approximately 46,000 pieces of plastic are floating in the ocean per square mile), etc. The large use of fossil fuel in the production and transportation of PET bottles also causes significant amounts of carbon emissions. This infographic shows interesting facts about the environmental impact of plastic bottles. Although recycling has increased, only about 12% of the 35 billion PET plastic bottles used every year (in the US alone) gets recycled. So recycling hasn’t done much to help reduce waste. With this, bottling manufacturers are challenged with coming up with innovative ways to bottle water, that don’t involve plastic. A few companies are delving into this, the most prominent being Boxed Water. 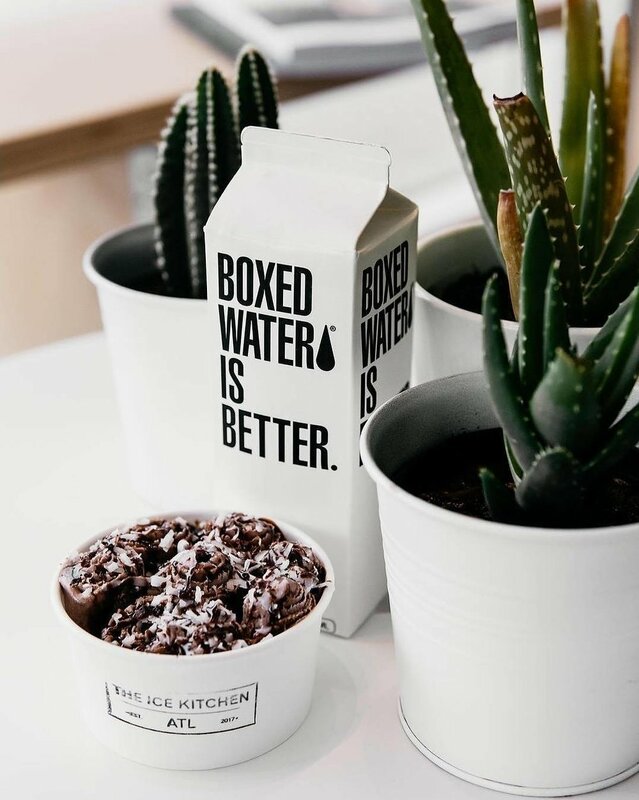 Boxed Water is an American water company working with the premise that boxed water is better because it uses a renewable resource, paper, as packaging, as is thus more sustainable. They also talk about strategically placing their water filling stations across the country for optimal transportation. A new similar company, Just Water, also produces paper-based packaging, with water cap made from sugarcane…both renewable resources that can be replanted. For Boxed Water, its water cartons are 76% paper, a far better alternative than 100% PET. Also, their paper supplier gets its supplies from sources certified by the Forest Stewardship Council, meaning the trees are definitely replanted. Also, the company’s transportation-related emissions are way less because they transport the cartons flat to their filling stations (26 trucks’ worth of bottles are fitted into one truck) and the filled cartons still way less than PET bottles. But overall, no matter the packaging, bottled water is still single-use, and thus a wasteful option. Companies, and even consumers, need to take innovation even further to maximize refillables (think water dispensers) and reusable water cups.